I’m not normally one for bands getting back together because for the most part there generally awful and motivated by ego and the promise of a quick buck. There have been some notable exemptions to this rule such as blur last year and I have something of a cautious good feeling following the discovery through the Guardian, The Libertines are set to reform for a headline slot at the Reading and Leeds festival in August. 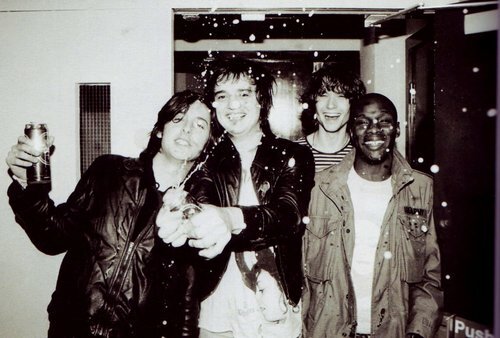 Pete Doherty and Carl Barât have apparently put aside their differences for headline show. This will finally end years of rumours and speculation of a reunion since the split in 2004. It remains to be seen whether or not this actually works out because even back then it was rare for Doherty to make the gigs regularly. Needless to say I am excited, Up The Bracket was in my opinion one of the best albums of the last decade and of critical importance to the rebirth and rejuvenation of the UK indie/rock music scene. Neither Doherty or Barât has really reached the heady heights of The Libertines since they went their separate ways with Babyshambles and Dirty Pretty Things, although Doherty’s solo album with Graham Coxon did come close. With talk of future gigs and possible new material it’s surely an outside bet that these guys will be at Electric Picnic, isn’t it?